Discounts for early birds. One of the main benefits of getting ahead of summer 2019 is the special offers we have for early birds. For next season, you can get a direct discount of 20% off the standard rate if you book 5 or more nights and you book it before 31st January. If your booking is for less than 5 nights, you will get 5% off if you enter the BETHESUN (all in uppercase) offer code in the appropriate field. Book now and only pay for one night in advance. If you choose the Refundable rate, when you book the room you will only have to pay the full amount of the first night. 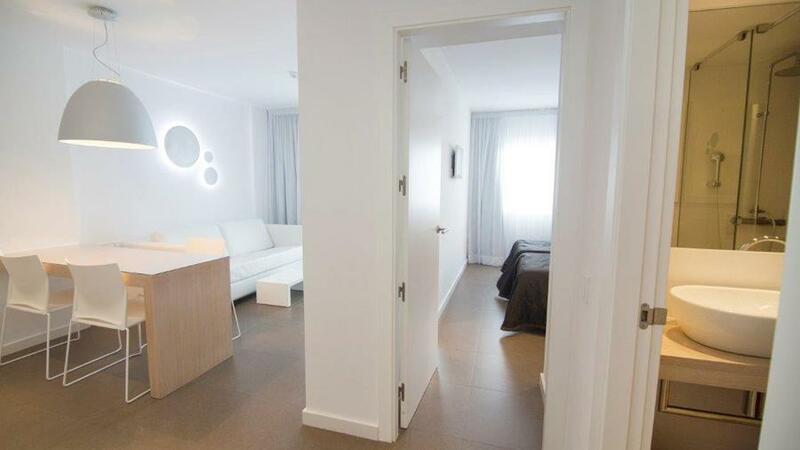 If for any reason you have to cancel your booking, there will be no cancellation fees and you will receive a refund for the full amount paid as long as you cancel up to seven days before the first night you’d booked at Ibiza Sun Apartments. Find fantastic rates You will also be able to enjoy cheaper rates thanks to the Non-Refundable rate. If you choose this option, you will be asked to pay the entire stay when you confirm the booking. Given its characteristics, this rate does not allow refunds if you have to cancel the booking. Prepare your holiday in good time. At Ibiza Sun Apartments we are always willing to help our guests with any special needs they may have. Are you travelling with a person with reduced mobility? Are you celebrating a family getaway for an anniversary? Or would you like to stay in the same room as this last summer? Tell us what you need and we’ll be delighted to help you.